I've recently tried my hand at Dreamcast development and have had some moderate success. 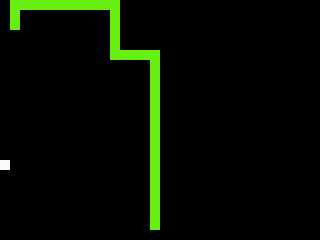 I ported my very simple snake game that I originally wrote for the GPH Caanoo. It's not very difficult because I was trying for more of a zen-type deal. So if you have a Dreamcast and enjoy snake please give it try. 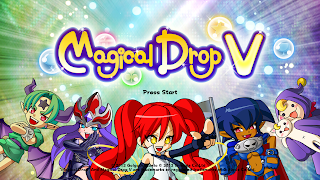 Magical Drop V is the next installment in the cult Neo-Geo puzzle-battle franchise. Creating a true sequel to the almost perfection of Data East's Magical Drop III is a tall order but the developers at Golgoth Studio have taken on the challenge, and have had a fair amount of success. Adding in modern elements such as online play and leaderboards, MDV is an interesting sequel. The gameplay behind MDV is, as with most puzzle-battle games, easy to learn. To give a quick description of Magical Drop: 7 columns of differently coloured bubbles (4 colours not including special bubbles) fall from the top of the screen. The player controls a small jester-looking character at the bottom of the screen that can grab as many bubbles of 1 colour as wanted then throw them back. If the player creates a vertical row of 3 of the same colour bubble then they, and all touching bubbles of that colour, are cleared from the play area. If a single column of bubbles reaches the bottom of the play area or if your opponent fills their quota of bubble popping first, it's game over. The challenge comes in being able to form combos by quickly clearing away bubbles in succession and being able to capitalize on your opponent's drop pattern. Speed is the key element in Magical Drop, it's fast paced gameplay is what garnered so many fans of the series. 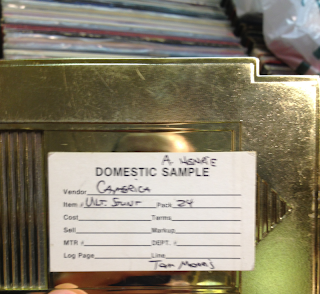 And for the most part, this has remained intact for the sequel. It really feels just like Magical Drop III. 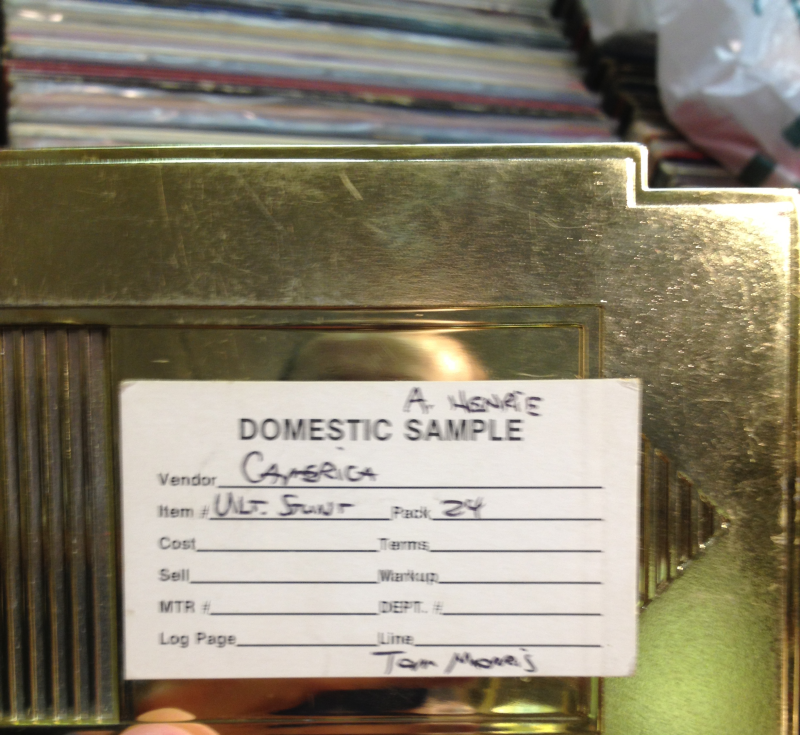 So what does MDV offer that the prequels didn't? Well, as mentioned earlier, online is probably to biggest reason I was excited for this game. Unfortunately there is almost nobody playing online. You would be extremely lucky to get into a quick match. Even if you do manage to get into a match, it's not the best experience. With a game as quick as Magical Drop lag is an issue and MDV suffers from some serious lag issues. Sometimes the game will even completely drop both players from the match, making the online portion of MDV a frustrating experience. I'm sure anybody who has played Magical Drop on the Neo-Geo has, at one point, wanted to change the quota. Well, in MDV, you can and it's pretty awesome. I have experimented with different quota sizes and found 300 to be the most enjoyable. Any larger than 300 and the games seem to go on for too long if you are evenly matched with your opponent. Some interesting new modes have been introduced as well such as Two vs Two and a 4 player 'king of the hill' mode. Which would be interesting if there was anybody online to play them with. One very neat thing is the introduction of 'Bruce' to the roster. Choosing him during character selection will allow you to play, the previously unreleased Data East Neo-Geo game, Ghostlop in place of the standard Magical Drop. It's a novel feature and a novel game which deserves a try but I can't say I'm a fan and I don't think it makes up for the cut to the roster from MDIII. Magical Drop V is a little disappointing. The 'story mode' is simply an arcade mode, the online is a ghost town, and to top it off the roster of characters has been reduced. Golgoth did get the gameplay spot-on though and that really impressed me. At the time of writing this Golgoth just announced a large patch titled 'MMXIII' (2013 in Roman numerals) which is touted to improve online play and add some more single player options. I just hope it can get more people online! 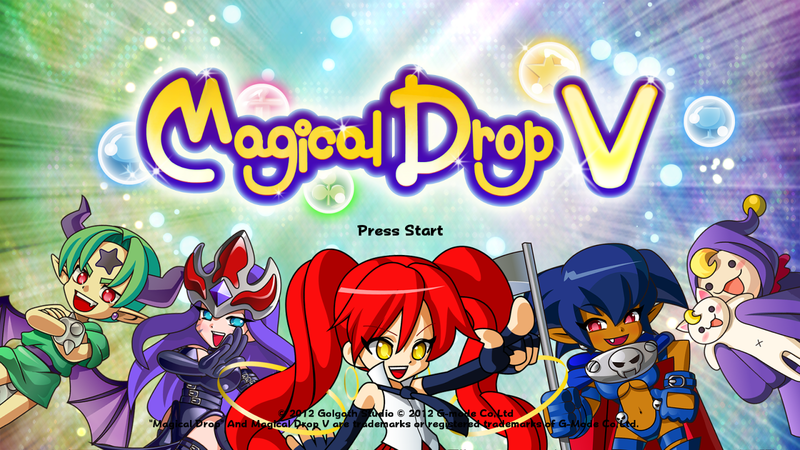 Magical Drop V is currently available on Steam. Gunlord is a Dreamcast and Neo-Geo game created by the German developer group 'NG:Dev.Team'. They're the guys responsible for Last Hope, Last Hope – Pink Bullets, as well as Fast Striker, all of which are scrolling 2D shooters developed with the Neo-Geo in mind, and ported to the Dreamcast. 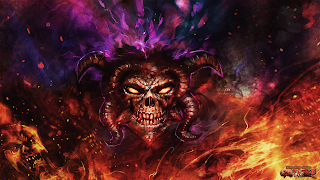 Gunlord touts 16-bit graphics with 9 huge levels to explore and non-linear action. I'll be reviewing the Dreamcast version. Now, onto the game. Gunlord differs from NG:Dev.Team's previous releases in that it is not purely aside-scrolling shooter, although if you like those there is a nice surprise in the game, more on that later. Gunlord features awesome run'n'gun style gameplay very similar to the classic game Turrican. Offering several different weapons including: the classic spreader, a bounce shot that causes your bullets to bounce off objects, and the 'phoenix' which shoots waves of fire at your enemies. In addition to the 3 basic weapons, you also have the 'dragon whip' that you can shoot in any direction for a limited time until your energy meter at the bottom of the screen is depleted. Not to worry though as it slowly recharges over time. This is probably your most valuable weapon because it does high damage and also destroys enemy projectiles. If you ever happen to get yourself into a pickle though, you're able to use the 'fire flash' which is a limited quantity item that clears the screen of all harmful projectiles and most enemies. As if all this isn't enough the character can also curl up into a ball reminiscent of Samus from the Metroid series. While curled up you can move quickly across the ground and can drop bombs to harm enemies. This move seems a little out of place as the only times I have used it is to get through passages that are too small for the character to walk through. It may come into play more in later levels but from just the first 4 levels it seems out of place. The levels in Gunlord are, for the most part, linearly structured, as in there is only one route to the boss,but there are many places to explore. It really reminds me of the old Metroid game for Super Nintendo but not quite as open for exploration. Since the game presents a counter at the bottom of the screen for purple gems scattered throughout the levels, you will find yourself searching every inch of the levels in an attempt to collect all the gems (something that is not easy to do I might add) and increase your high score. Gunlord features an online ranking highscore system: at the 'game over' screen you are presented with your score as well as a code that you can then enter at the Gunlord website to show off your score and compare yourself with others. It would have been nice to have online rankings in-game but, obviously,the Neo-Geo has no online capabilities and frankly neither does my Dreamcast since I no longer have a dial-up ISP. So this is a nice solution I think. High scores are also saved on the VMU. The shooting and jumping feel fantastic in Gunlord. All the weapons feel powerful and give the character areal sense of strength. Jumping is great and you are able to easily and precisely control the character to land where you want. There is no frustrating platforming in Gunlord; it's all about runnin' andgunnin'. This all adds to the feeling of fairness in the game. If you got hit, it always feels like your fault and not the game's. Which makes the game's challenge enjoyable instead of frustrating,and this game is challenging. Fortunately Gunlord offers two game modes: original and arcade. The gameplay in both of these is exactly the same with two exceptions. If you run out of lives and use a continue on original mode then your character will spawn exactly where you left off. But in arcade mode, you will be forced to start your current level over from the very beginning. Arcade mode also has a timer which counts down to your death. Collecting gems increases your total time remaining, adding a nice little challenge to an already difficult game. Artistically Gunlord is amazing with massive boss sprites, tonnes of on-screen madness, lots of frames of animation all running at a full 60fps, and a pumping soundtrack. However, I feel the palette for the game is a little strange. Just look at the regular edition box art, you can barely read the title of the game! It can be difficult at times to see smaller enemies and projectiles. That's probably my biggest complaint. Each sprite individually looks gorgeous but when they are all put together on screen it can get a little messy. But with 9 massive bosses and several mini-bosses Gunlord truly is a great looking game. A very nice surprise that NG:Dev.Team threw into this game is level two. This level is a quick, and I do mean quick, side-scrolling shooter level. You can definitely tell the guys who made Gunlord have lots of experience with shooters. Playing through this level really made me sad I never picked up Last Hope or Pink Bullets. So if you're a fan of Turrican, run'n'gun games, want a real challenge, or just want a reason to hookup your Dreamcast again, Gunlord will do you well. NG:Dev.Team also has a new vertically-scrolling shooter in the works, NEO XYX, coming out for both the Neo-Geo and Dreamcast. I'm really excited for that one. If you want to grab a copy of Gunlord head over to NG's website at www.ngdevteam.com and get yourself a copy. At the time of writing this they're sold out of all versions save for the limited edition Dreamcast version which comes with the game's OST.